After reflection we decided that our first video course should focus on the need for Catholics to develop their own personal life of prayer. Many Catholics, remember, had been taught to say prayers by heart like the Our Father, the Hail Mary, their evening prayers, but were struggling to formulate prayers of their own. Many reduced prayer to petition. They assumed that praying meant asking God for some favour or other. Meditation which played such a central role in the life of priests and religious was unknown to most lay people. My experience in India had made me familiar with the methods of prayer developed in Hindu yoga, Buddhist metta and Sufi contemplation. I knew we could learn from them too. In fact, at the time I had written a small number of pamphlets and articles in which I outlined the useful elements of Indian prayer forms. Determined to do things well, I initiated a process of consultation. I wrote to retreat centres, spiritual directors and psychologists for their advice. I assembled a wide of collection of relevant books and articles. From all those different sources I designed a simple course for people, showing them how they could meditate even in the midst of a busy life. I called the course the ‘Seven Steps of Prayer’. But how could we develop this into a usable video course? I went for advice to a number of Christian producers working in the world of TV. One of them recommended Angela Tilby to me. She was an active worker in the Church of England. She also had been involved in creating spiritual programmes. Angela agreed to help. 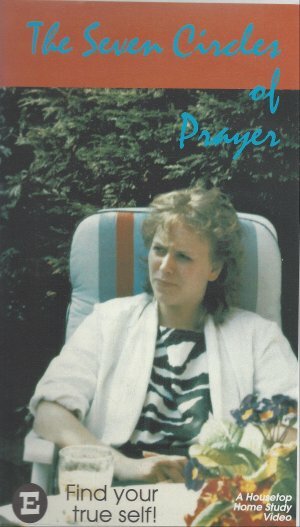 She took my ‘Seven Steps of Prayer’ and, drawing also from her own profound Christian experience as well as her understanding of the power of images, wrote an exquisite film script for it which she suggested we should call the ‘Seven Circles of Prayer’. The next step was to get the script produced as a video. I was determined that we should do a professional job, rather than an amateurish concoction. So I approached the CTVC Studios in Bushey, Watford. They were willing to execute the project but told me it would cost £ 17,000 which was a fortune for us at the time. Where would I get the money? I started looking for sponsors which proved a daunting task with many dramatic moments. A first break-through came when Kevin Grant, producer of the Catholic weekly The Universe, offered to support the project with £ 8000. Wonderful! Unfortunately, just at that moment I had to resume my annual lecture tour in India. So I handed over further development of the project and the fundraising for it to Sr Deirdre Ford OP who had just then joined our Centre to help in our media work. Deirdre did her best to find other sources of income. She struggled. She did not get a good response. So she decided to cancel the project. Imagine my shock when, while visiting Jeevan Jyothi Sisters’ Institute in Secunderabad, India, I learnt through an airmail letter written by Jackie Clackson that Deirdre wanted to inform Kevin Grant that the project was off. Airmail letters at that time took 5 to 6 days to reach me in India, so I feared the worst. Had Deirdre already returned the grant? You should realise that international communications at the time were still rather precarious. No instant emails. Even telegrams could take days . . . So I had no other option than to try to make an international phone call. This was a gigantic undertaking at the time. For a call from Hyderabad to Bombay had to be booked, then an international call via Bombay to London . . . It meant me clinging to the phone in Jeevan Jyothi for hours on end, waiting for a connection to come through. When it came, the time in London was 3 am at night. Fortunately, Jackie immediately answered the phone. I told her that Deirdre should hold her hand till I would come back to the UK three months later. On no condition should she cancel the project. Well, I had acted in time. The project was saved. When I returned to London, I continued my attempts to find financial support for the project. This was not easy. Our kind of project was a novelty at the time. Would it really achieve results? A break-through came eventually when I was invited by Bishop Gerald Mahon of Central London to give a day of recollection to a number of his parish priests. It turned out that one of the priests had just been left a legacy by his mother . . . At the recommendation of the bishop the priest granted £ 6000 for the project. Then, finally, Sir Herald Hood, owner of the Catholic Herald, who knew Jackie Clackson quite well, donated the remaining £ 3000. We now had the money. Production could begin. We were lucky. CTVC Studios gave their full cooperation. They provided an excellent film director in Martin Smith. The production was a great success. The full course consisted in the seven-step 30 minute video The Seven Circles of Prayer and the course book Stepping into the Seven Circles of Prayer written by me and illustrated by Alison Conti and Christopher Coelho. I invite you to see the course online here: http://www.mysteryandbeyond.org/circles_intro.asp. 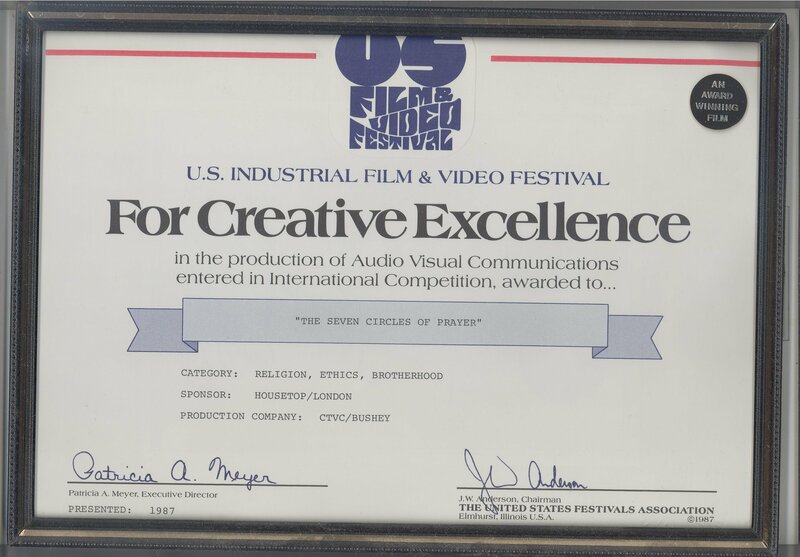 the award for ‘Best Catechetical Video’ at the Catholic International Film Festival at Warsaw in 1995. The second spirituality video course we produced – Peace in your Home – also focussed on prayer. This time it put the spotlight on practices in the home. In the past Catholics had been used to say their morning prayers when waking up, and night prayers before going to bed. Moreover, parents and their children would kneel down after the evening meal to say the rosary together and other family prayers. Many of those customs were disappearing fast. What could replace it? With a number of other authors I created a course book. In it I spoke about belonging. Barbara Wood explained how we could teach children to discover real prayer at bedtime. John Sullivan pointed out that frank discussions around the dinner table could be filled with prayer. Chris and Heather Harris showed how the personal prayer of parents can help children discover their own. Nicholas Smith highlighted the potential of liturgies at home. Meanwhile I had taken time off to study scriptwriting for film. I bought books on the topic. I attended instructions by professionals. It taught me how to write the kind of script that would do justice to our topic. So I wrote the script for the video. Main purpose was to invite parents to explore various ways of being prayerful together in the ordinary process of everyday living. For it is in the home that life is born and shared and celebrated. It is in the home that prayer is discovered and deepened. The production was again looked after by CTCV Studios in Bushey, Watford, with Martin Goodsmith as director. 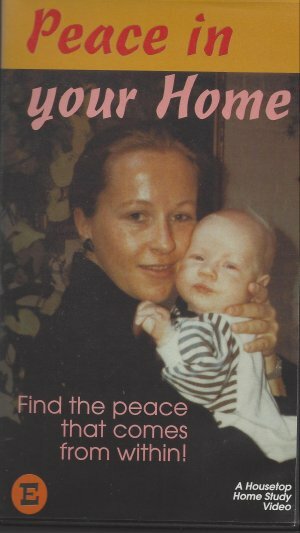 The video won the Pater’s Award for Professional Excellence at the World Bicentennial Broadcasting Festival of 1988, in Brisbane, Australia. And it received good reviews. “This is spirituality that can be truly lived. And since, in the video, the wife is Church of England and the husband a Catholic, the course adds a beautiful ecumenical dimension. Marvellous for Lent and Advent in parishes and schools.” In Diocesan RE Advisor. We also produced a video course for people facing retirement. It was called Coming to Terms. Again we did research on the special needs of men and women at that stage of their lives. We cannot help ageing, but growing old does require its own skills. We have to ‘come to terms’ with our new situation. This course was about growing old with dignity and joy. It focussed on both the human and religious dimensions involved. The script for the video was written by me and further adapted by Martin Goodsmith. Martin also directed the filming. Technical production was done by CTCV Studios in Bushey, Watford. Instead of a course book, we supplied participants of the course with a companion leaflet which contained questions to prepare for each session. Illustrations in the leaflet were photographs kindly provided by Margaret Hood. The success of our other video courses prompted Cardinal Basil Hume, Archbishop of Westminster, to commission another video course, this time on the Eucharist. He wanted this to be widely used in the parish of his archdiocese. So it had to be parish oriented. The Second Vatican Council had called for the laity participate ‘actively and fully’ in Sunday masses. The video course was to help make this dream come true. I wrote the film script for the video. It depicted typical experiences of parishioners. We see how ordinary people: an Indian hairdresser, a student, a single-parent mother, a retired corporal, a Jamaican primary school teacher, contribute to waking up the parish community. From being dead the parish becomes committed, dynamic, adventurous. Meanwhile we move through five key elements of the Eucharist: faith as personal commitment; active participation in the liturgy; worship through symbolism; communion, thus building up community; sacrifice, and how this changes society. The video was produced jointly by Housetop and the St Thomas More Centre, the liturgical centre for the archdiocese. Technical production was done by CTCV Hillside Studios, Bushey, Watford. 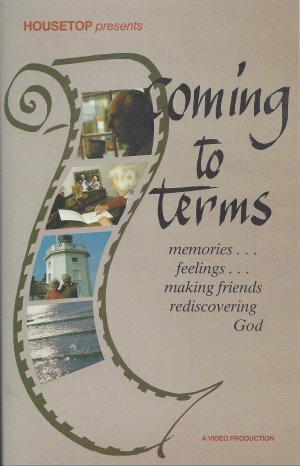 The course book What Mass Means to Me was written by one of our team members, Mary Willson. 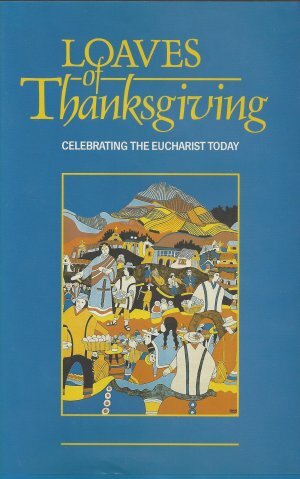 “Loaves of Thanksgiving is, in my opinion, an excellent tool to prompt reflection and discussion on the Eucharist. It leads on to a further exploration of the deeper meaning of the Eucharist and to a fuller commitment. The video thus helps to achieve what the Church is looking for: `that all the faithful be led to that full, conscious and active participation which is demanded by the very nature of the liturgy’ (Sacrosanctum Concilium, no 14).